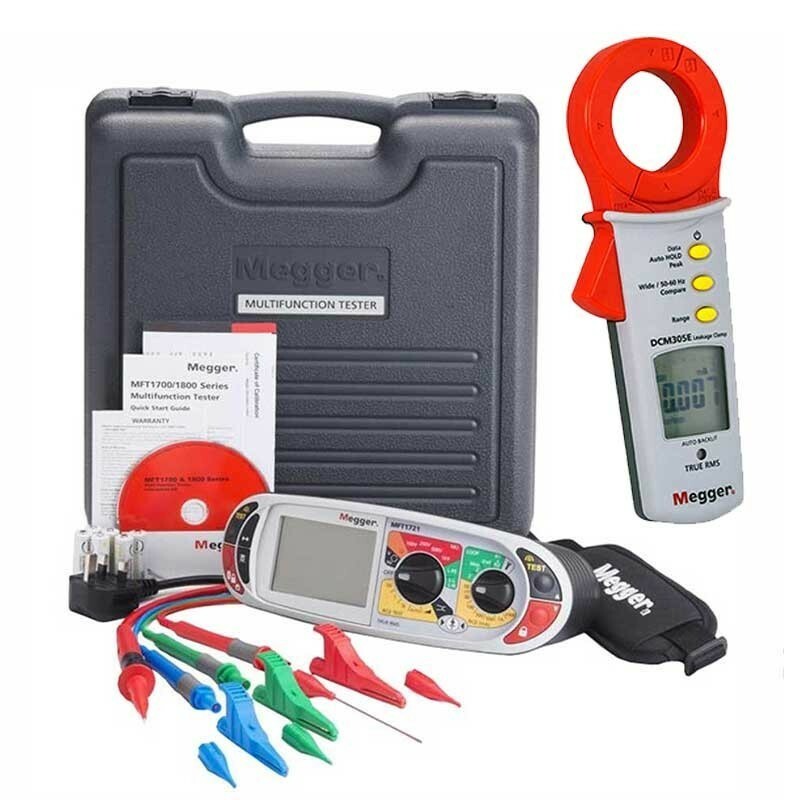 A special kit containing the Megger MFT1721 Installation Tester and the award-winning Megger DCM305E Earth leakage Clamp. 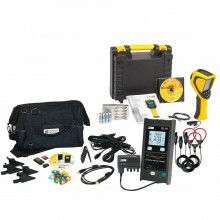 Cuthbertson Laird are now offering a kit comprising of a multifunction installation tester, the highly popular Megger MFT1721, plus the award-winning, new earth leakage clamp from Megger, the DCM305E. The total list price is £1449. 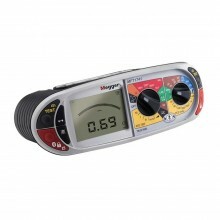 Buy today for only £899 + VAT. 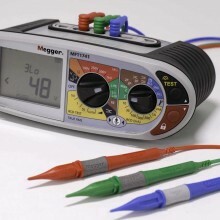 Designed from the outset with safety and convenience in mind, the MFT1721 tester provides comprehensive and easily accessed facilities for testing electrical installations in line with the 17th Edition of the IET Wiring Regulations. 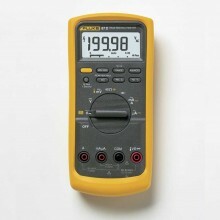 The MFT1721s are extensively protected against damage if they are accidentally connected to a live supply when a dead circuit test is selected, and this protection is effective even if the test has been locked on. 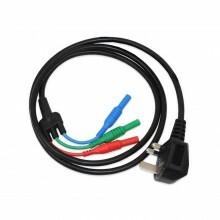 Automatic start - no need to press TEST so leaving both hands free to hold probes. 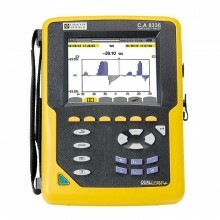 System voltage and frequency measurement TRMS. Continuity resistance at 200 mA or 15 mA. Insulation test at 100 V, 250 V, 500 V and 1000 V.
Two and three wire non-trip loop testing for RCD protected circuits. Type-B RCD and 3-phase RCD testing for industrial applications with no Earth. 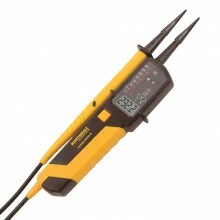 Insulation resistance test voltages: 100, 250, 500V, 1000V. Continuity Test Current: 15 and 200 mA. 2 and 3 wire non-tripping L-PE loop test. 2 wire Hi current L-N 50 V - 280 V loop test. 2 wire phase to phase L-L (50 V ~ 500 V). PSCC and PFC (20 kA max.). RCD Test: 1/2, 1, 5 x I and ramp. Type AC, A and S RCDs. 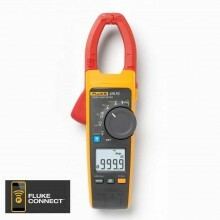 Type B (pure DC) RCDs. 10, 30, 100, 300, 500 and 1000 mA RCD. 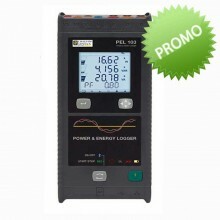 Power: IEC LR6 type AA alkaline (6 cells - supplied). CAT IV 300 V / CATIII 600 V.
Dimensions (with case): 150 mm H x 85 mm W x 235 mm D.
Weight (with case): 1 kg. 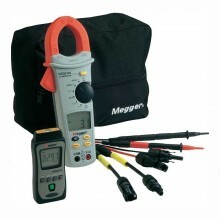 Megger MFT1721 Warranty: 1 year extendable to 3 years. 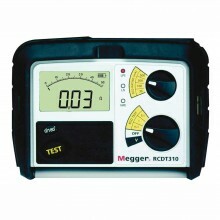 The Megger DCM305E is designed to check earth leakage currents; however the upper range enables TRMS AC current measurements of up to 100 A. TRMS meters can measure both pure, undistorted, sinusoidal AC waveforms and non-sinusoidal AC waveforms which can contain pulse trains, triangles, spikes and other ragged waves. Up to 100 A AC. Low pass filter to aid stability of readings. Auto, data & peak hold. Auto power-off (20 min; user-selectable). 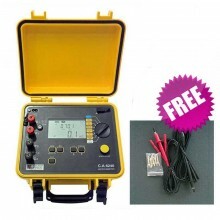 Includes: MFT 1711, MPU690, TPT320, full user guide on CD, Calibration certificate, Neck strap - Megger embroidered, 3 Wire lead set with prods and clips, Mains plug test lead, batteries and calibration cert.